We believe that Jewish overnight camp is an extremely important part of a young person’s growth. 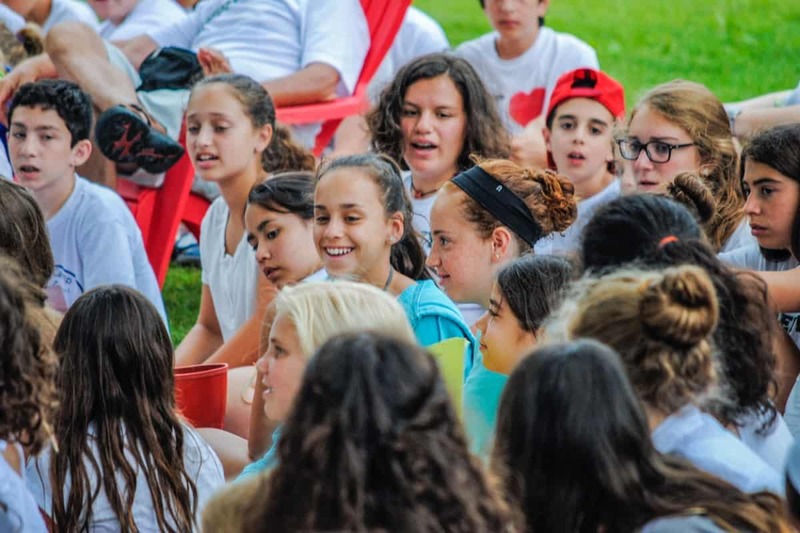 Pinemere families come from a wide variety of backgrounds and some define themselves as culturally Jewish and some will say they are more religious. The majority of our families fall somewhere in between. Basically, there is no typical Pinemere camper or family and we work hard to make sure that everyone feels welcome and at home. I think this quote sums up what we are trying to do at Pinemere Camp. 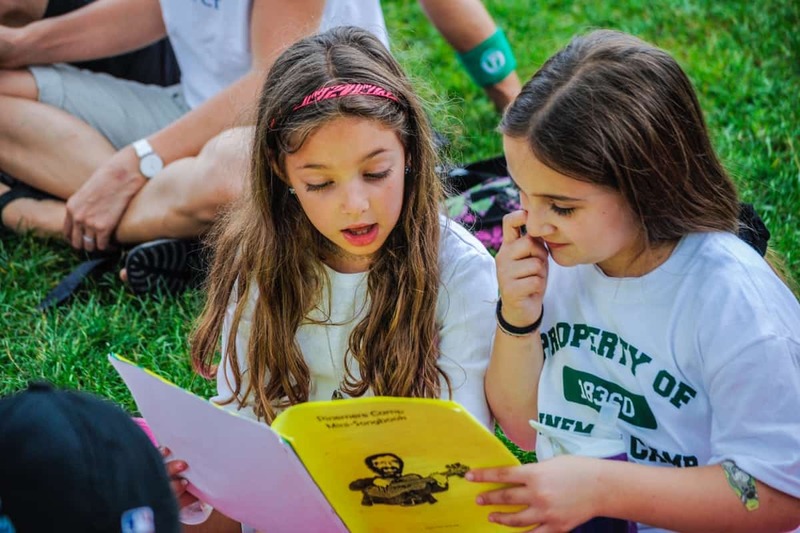 Campers definitely learn while they are at camp, but our major concentration at Pinemere is ensuring that individuals feel great about their Jewish self. 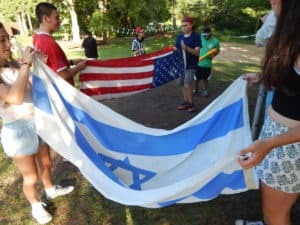 This is why we describe ourselves as a “Jewish Identity” program. 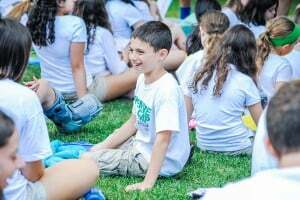 We focus on creating a wide variety of experiences and opportunities for each camper to connect with their personal Jewish identity. 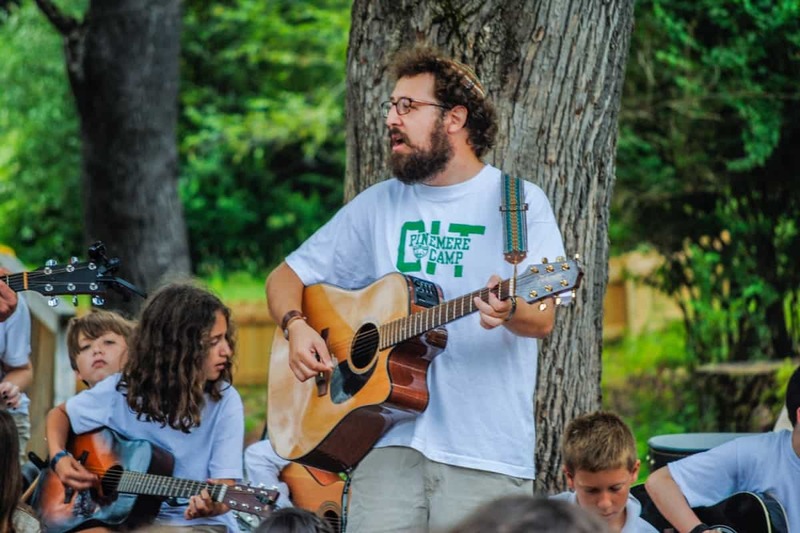 Our program is led by an amazing team that uses an experiential education model rather than more formal Jewish educational/classroom environments. 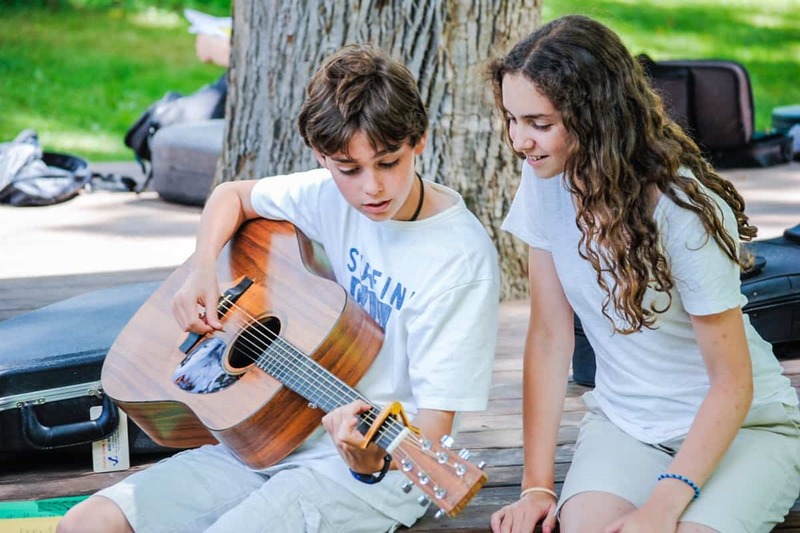 Pinemere’s approach is hands-on and based on Jewish culture, traditions, and values. 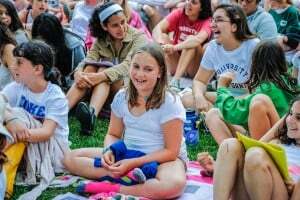 Everyone gets to the same place in their own way and on their own timeline, but all leave feeling connected and proud to be Jewish. Please do not hesitate to reach out to our team for questions! 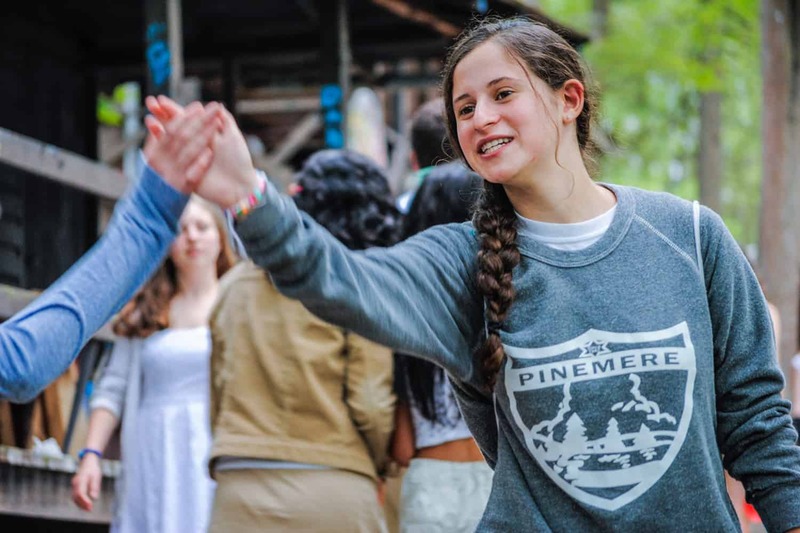 You won’t experience another Shabbat like the Pinemere Shabbat! 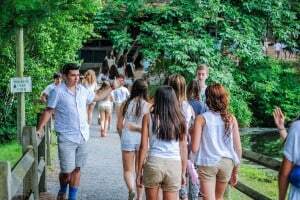 Each week our entire community comes together at our chapel overlooking our lake for Shabbat services. 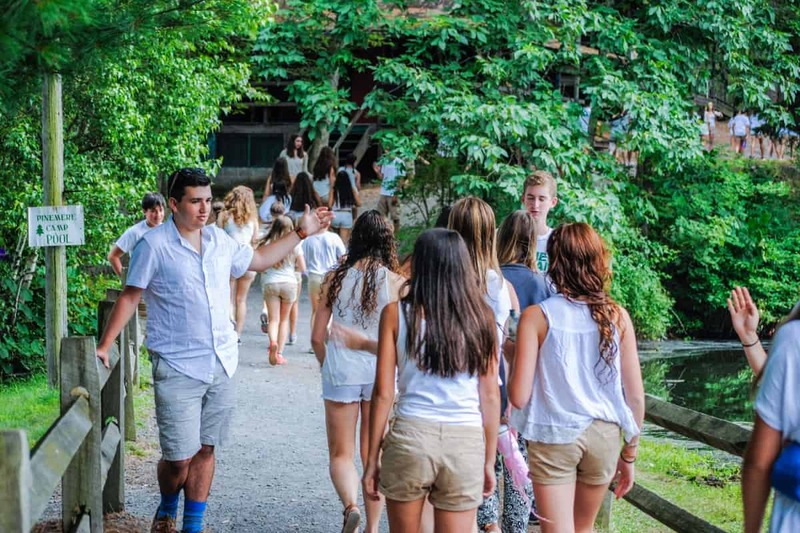 Dressed in white tops and khaki pants (no need for fancy clothes) our Shabbat experience is both camper and staff led. Our service is constantly evolving but at the same time, always familiar. Many of our traditions come from the Reform and Conservative movement, but then again we have many that are not. 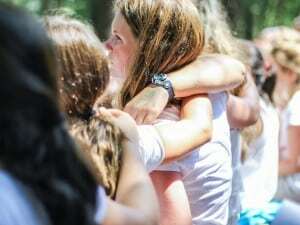 A common scene at a Pinemere service is seeing a group of campers, without being asked, put their arms over each other during a song or prayer and begin to sway back and forth. It’s an amazing, organic experience that can become a life-changing event. It is beautiful to be a part of! 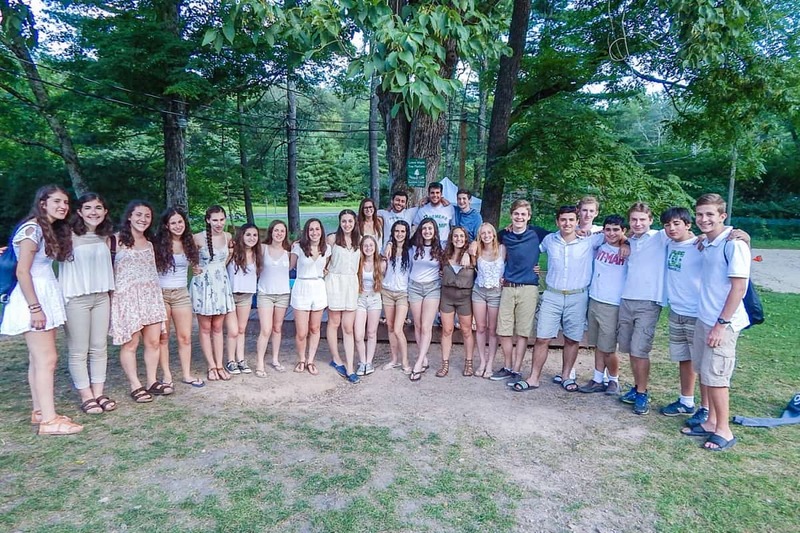 We always eat together, but Shabbat dinner just feels a little more like family. It’s always made extra special by campers that help prepare Shabbat decorations and help our chefs prepare the meal! As the meal ends, you can feel the Ruach level climbing. 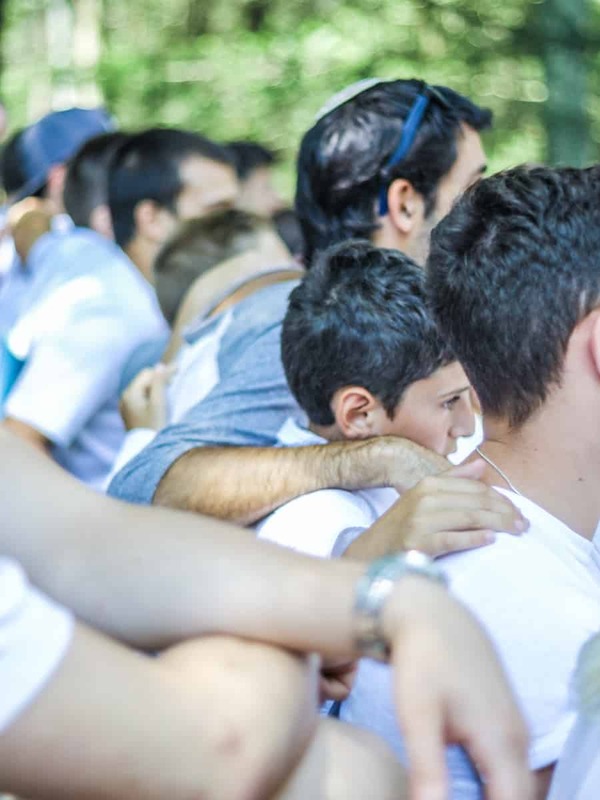 Inevitably, the campers will begin cheering back and forth. Eventually, everyone goes back to their bunk and changes into tie-dye (which they’ll make at camp) for what is now known as “Tie-Dye, Fri-dye.” We sing, dance and cheer until it’s time for bed. We also have a Shabbat experience each Saturday morning. Many of these services are similar to our Friday night services. However, we also have alternative services in the middle of each session. 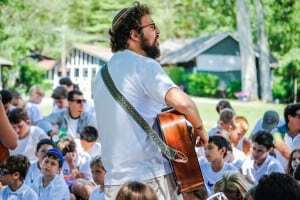 These experiences are outstanding and help each camper connect to their own Shabbat experience. While there is always a regular service, new alternative services may include: yoga services, meditation, hiking/nature service, Shul-in-the-Pool, or maybe God in my iPod. 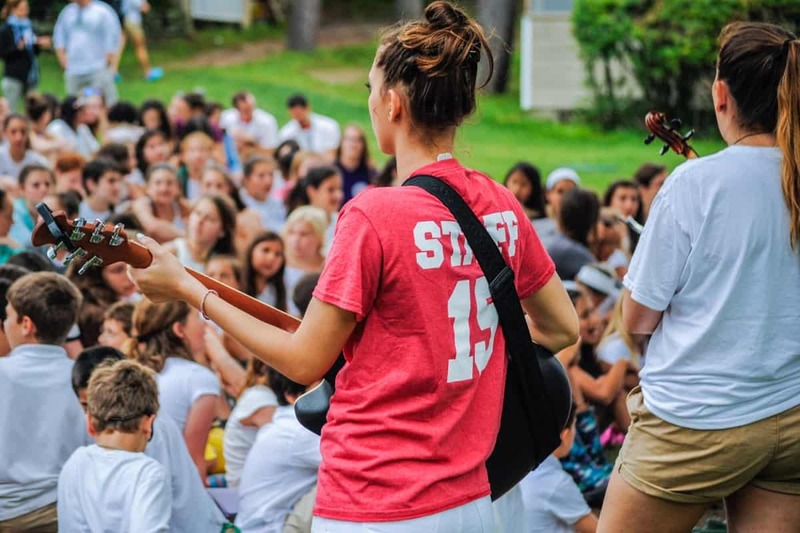 After Saturday morning services, the entire camp meets at the lower maple for an all-camp folk sing. “Sing” has been a Pinemere tradition for decades. 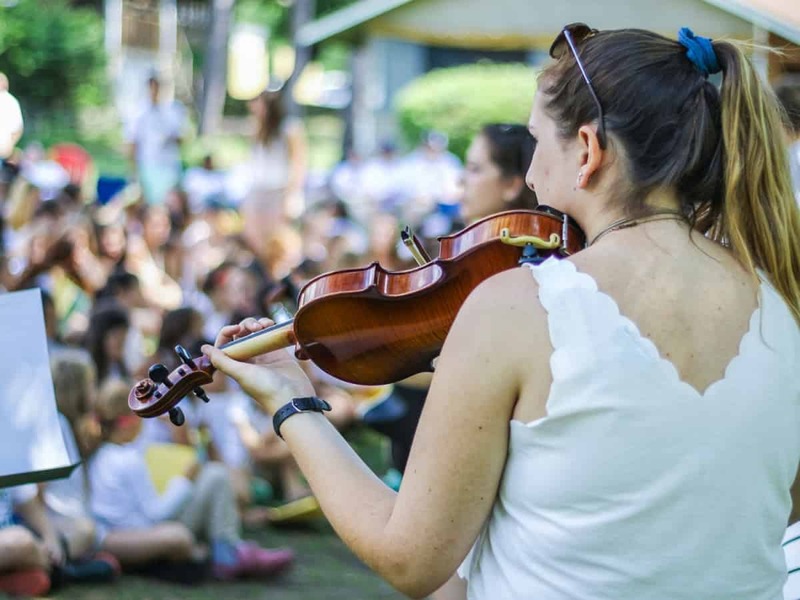 Both kids and staff have the opportunity to play along with their instruments as our song leader guides us from one fun song into the next. We pass around songbooks so that everyone can join in, but it doesn’t take long for the kids to memorize and belt out old Pinemere standards and new favorites each week. It is truly something that makes Pinemere unique and special. 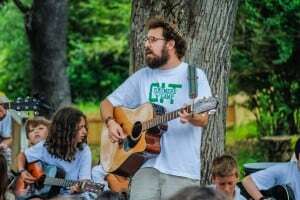 Saturday evening Havdallah is another beautiful time when the entire camp joins together. 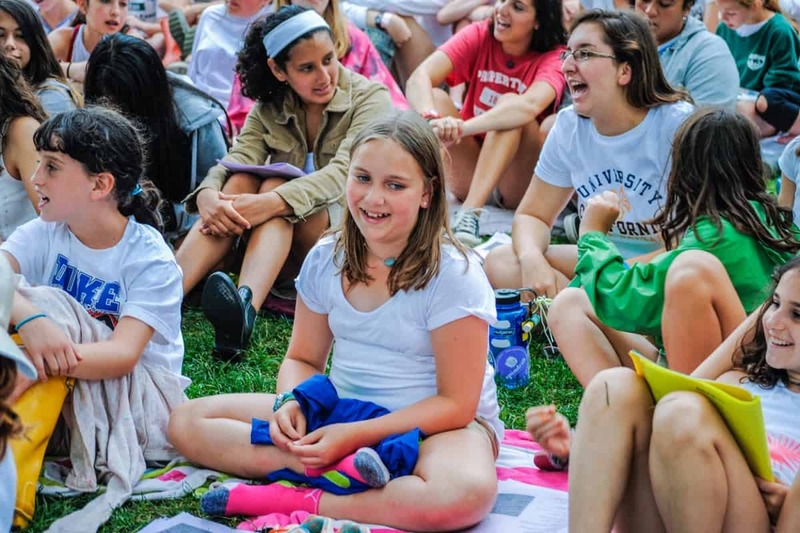 Joined in one huge all-camp circle on the Green, we sing the Havdallah prayers as the sun goes down in the background. It’s absolutely beautiful and it’s hard to picture a better way to transition to a new week. 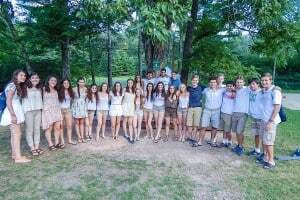 Pinemere Camp has a proud tradition of hiring Israeli staff, offering a 4-week Israel trip experience, and also creating a wide variety of excellent Israel programming. 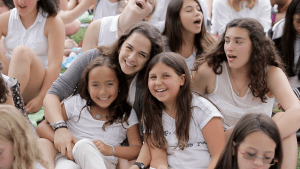 While there is nothing like actually being in Israel, we do our best to provide programming around the historical and present-day life in Israel. 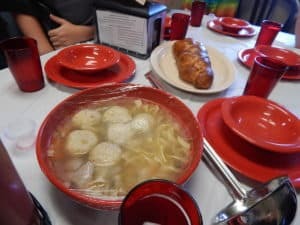 We’re proud to say that we have great food at Pinemere Camp... oh, and by the way, it’s Kosher! As part of our experience at camp, we feel that it’s important to meet the dietary needs of our campers and provide everyone with a Kosher experience. While we purchase all Kosher products and have separate eating and serving dishes and utensils, we are not supervised by a Meshgiach. Our kitchen team is well-trained and helps provide amazing meals each summer!